Mysterious and romantic, the music of Light Rain sings to the gypsy in each of our souls. With their unique hybrid of Arabic and American musical sensibilities, they have indeed made a niche of their own in this diverse musical world we live in. The musicians of Light Rain are considered pioneers of what has come to be known as New Age & World Beat music. 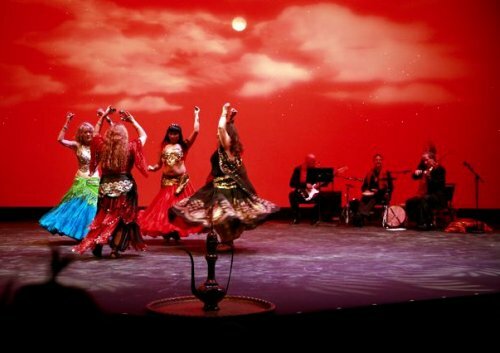 Their four internationally known albums weave sensuous melodies over Arabian rhythms. Light Rain?s first album, Dream Dancer, was recorded in 1977 and became an underground hit. It was embraced by listeners and dancers across the United States and around the world. Dream Dancer was discovered by the Joffrey Ballet who set a dance to some of its music. Joffrey?s choreographed piece, also named Light Rain, became known as their signature work with audiences demanding to see (and hear) it year after year in the world?s finest theaters. Since then, The San Francisco Ballet and The Aspen/Santa Fe Ballet have added Light Rain to their repertoire. After a long break from their mid-eastern musical explorations, Light Rain burst back into the world-beat arena with the powerful and exotic CD, Dark Fire. Many consider the deep and sinewy performances captured on Dark Fire to be Light Rain at its very best.